As I drove through the town of Itang, little seemed amiss. Luke, our deacon in this area, asked me to stop. “We can walk from here,” he said. As I got out of the vehicle the smell of burnt wood struck me. A hundred feet or so past where we parked we came around a corner - nothing but charred wood and ashes - more than 200 homes gone in one night. Our Anglican church was still standing - perhaps the attackers here had a sense of the fear of God that led them to spare that one building. If only they knew that the people they attacked were made in God’s image and more precious to Him than any building. 2016 has been a difficult year for Gambella - and it is only April. Two years of civil war in South Sudan has brought 300,000 refugees into Gambella, roughly doubling the population of the region. The increased population has resulted in many stresses on the resources of an already fragile social system. Water, electricity, internet service have all been in short supply. Although Gambella is not densely populated, access to arable land and to river water for the needs of agriculture, animals and humans is becoming more and more contested. Perhaps the most important challenge, however, has been the change in the ethnic make up of the region. 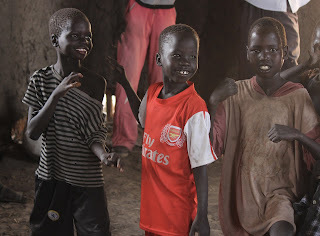 The Anuak, for generations the majority people group in Gambella, are now vastly outnumbered due to the influx of refugees fleeing the conflict in neighbouring South Sudan, almost all of whom are Nuer. Tension resulting from different views and uses of land has once more sparked conflict. The Anuak, as well as hunting and fishing, are more settled in the land, planting crops and having a sense of ownership of the land they till. The Nuer, are traditionally nomadic cattle herders who drive their cattle through all land; the land that they believe belongs to God and is therefore free for their use. At the end of January this tension became violent. The details of the fighting are vague and under-reported, but the short version is that a few dozen people were killed, many injured, and hundreds of homes burned and looted. Some of the Nuer and Anuak youth actually looted the villages of their own people who fled from fear of violence. The town and region are still filled with anxiety two months later. Nuer cannot safely travel into Anuak areas and Anuak are afraid to enter Nuer enclaves. The Federal Police and Army are seeking to keep order, but violence has flared up in several places. Our church life has been deeply affected. Our theological students (five Nuer and five Anuak) must have classes in separate places for now. Travel to some places is too dangerous and many people are stranded away from home and are being cared for by church members and family. Some are running out of food or the ability to purchase more. If these troubles weren’t devastating enough, bad turned to worse in mid-April. Early on the morning of April 15th, large, heavily armed groups of Murle people crossed into Ethiopia from South Sudan. The Murle have had a long history of raiding the cattle of neighbouring ethnic groups, killing any who stand in their way (or happen to be in the wrong place) and kidnapping children who are then assimilated into their people. The reports were truly horrific. Young Murle men with automatic weapons killing indiscriminately in the areas of Lare, Jikwao and Nininyang - all places where we have Anglican churches. The first reports said 140 Nuer people, mostly women and children, were dead. The death toll went up steadily - 160, 182. 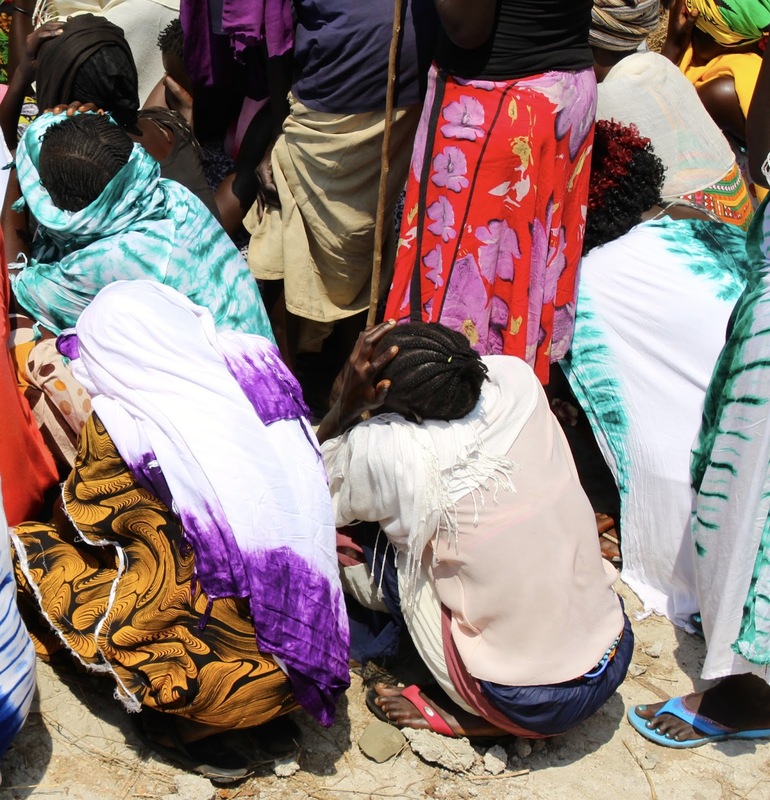 It is now being reported that 208 have died, at least 82 treated for bullet wounds in the Gambella hospital (others have been moved to hospitals in Metu and Jimma), as many as 108 women and children have been abducted. David Yao Yao, a former Murle politician turned cattle rider has denied responsibility. He did claim (truly enough) that the war in South Sudan (mostly between Dinka and Nuer, although this is an over-simplification) has so destabilized the eastern regions of South Sudan that the area is virtually lawless. It seems that it was only a matter of time before the chaos ensued. The Ethiopian government and the South Sudan government have said they will work together to track down the perpetrators of this brutality and rescue those abducted. We will see. The Prime Minister of Ethiopia declared two days of mourning. The only good news is that the rains have started - it is harder to raid cattle in the rain, so this event might not be repeated (this year). These overlapping tragedies of civil war and the massive influx of refugees, the ethnic violence over land between the Anuak and Nuer, and now these appalling Murle raids have left our people feeling raw and fearful. Just a couple of days after the Murle attacks, a truck owned by an NGO and driven by a “highlander” drove into Jewi Refugee camp just a few miles outside of Gambella town. ‘Highlander’ is the name given to non-Gambellan Ethiopians - Amharas, Tigrayans, Oromos and others - who are lighter skinned and quite different culturally from those groups native to Gambella. The truck struck and killed two Nuer children. Enraged refugees, no doubt already tense and on edge, responded with vengeance killing at least nine (perhaps more, reports are conflicting) highlanders. Vengeance leads to vengeance. Highlanders in Gambella began a march to the camp to kill Nuer. A highlander mob tried to attack Newlands, the Nuer part of Gambella town. Many were praying. Thankfully, perhaps miraculously, highlander retaliation was turned back by the Ethiopian (highlander) army. Although cars were burned in the centre of town, blocking the roads, and gunfire was heard sporadically throughout the day (warning shots thankfully), fewer casualties than expected were reported. As of April 25th, Gambella remains in simmering, tangible fear and anger. Information has been hard to obtain from the villages and refugee camps. The internet has functioned only part of the time. 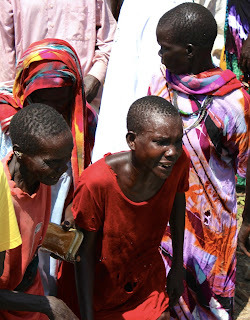 Quite a number of relatives of our church members were killed during the Anuak-Nuer clashes. Many members were looted or had their houses burned. We have so far learned that, during the Murle raids, three members of our Anglican congregation in Kowkow (near Lare) were killed and 1 child abducted. The sister of one of our clergy was also killed in another village and her child abducted. I have little doubt that we will hear similar details from other villages. Pray for our clergy and lay readers seeking to bring comfort to those who mourn and practical aid to many in need. Many have been asking us, how they can help respond to the suffering in Gambella, and the needs of those who have lost loved ones, whose houses have been burned or looted, who need food, clothing and shelter. As one of our people told us, “There are many who are very suffering”. Some have been directly hit, others have been stranded without means for food, unable to return to their home area. The simplest and quickest way to help would be through a donation to our ‘Samaritan Fund’. See below for donation links, but please specify that the gift is to be given to “Ethiopia - Samaritan Fund”. "I am because We are". can be a part of identity. "No. I will not join in the fighting". "One Lord, one family, one blood". the blood that cries out for revenge. Pray for a functioning government in the eastern regions of South Sudan. Pray for evangelists to reach out to the Murle people so that their society can be transformed by the saving and healing love of Christ. Pray for comfort for those who mourn and for wisdom for those bringing comfort. Pray for an end to the culture of vengeance. whose life was changed a few years ago. walking and running without assistance. recently raided by the Merle. a few years before the current crisis. This breaks my heart. I have no money to send but I know God has heard and answered my prayers for you. God bless you always. why church loans are needed is a very important question and its answer should be known by all churches.Churches face many situation while it need financial market's help by financial intermediaries who are reliable and will charge them fair so that it can fight and get strength to face those situation. Continue sending emails with the primary goal of helping them. The result is better campaigns and consistently higher ROI from your marketing. Stages 2 and 3 are where email marketing to ecommerce customers gets really interesting. The first and most important thing you need for email marketing is the permission to email your prospects and customers. Many email marketing plans include unlimited email sends each month and bill you based on the number of subscribers. Send compelling offers or information to show them the value of becoming a paid or active customer. Dozens of free, industry-specific newsletters and emails created specifically for your business. Use our simple, user-friendly interface to build your email marketing campaigns free from the inconvenience of rigid step-by-step wizards. Email Marketing Fact: Your carefully crafted multimedia content or images are not going to be readable by most people. Responsive Emails have to be especially designed these days to target Smartphone users but all the emails will be responsive as the number of people checking emails in their Smartphone is constantly rising. With J2Store, the entire checkout process is painless and uses Ajax technology that walks through the customers step by step without refreshing the page. Cross Selling and Up-selling: Select products for cross sells and up-sells without having to enter the links manually. Our team of experts will setup your ecommerce sales. E-commerce can offer maximum convenient to consumers because they can visit various online storefronts to compare prices and make purchases without having to leave their homes or offices. Widening digital divide: e-commerce facility mainly for urban peoples because for e-commerce business people must have internet connectivity and computer literacy. Selling a product online allows you to reach a wider audience and new customer pockets, with 41% of the world's global internet users purchasing products online in 2014. Do not wait for a miracle, go to the online casino. great online gambling games Excitement is interesting.